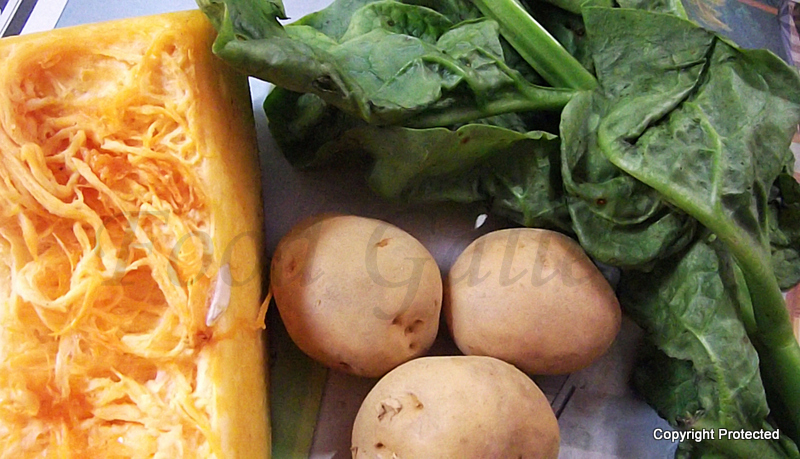 Cut the potato lengthwise and pumpkin into cubes. 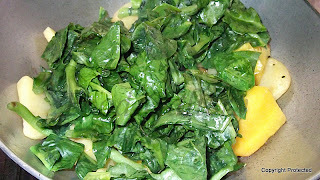 Then cut and clean the saag. Cut the leaves and also the daata or stems into 1-inch long pieces. 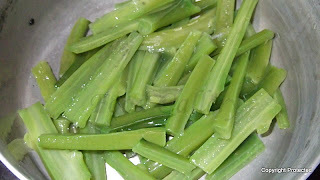 Slit the stems in between and wash these, boil them and keep aside. 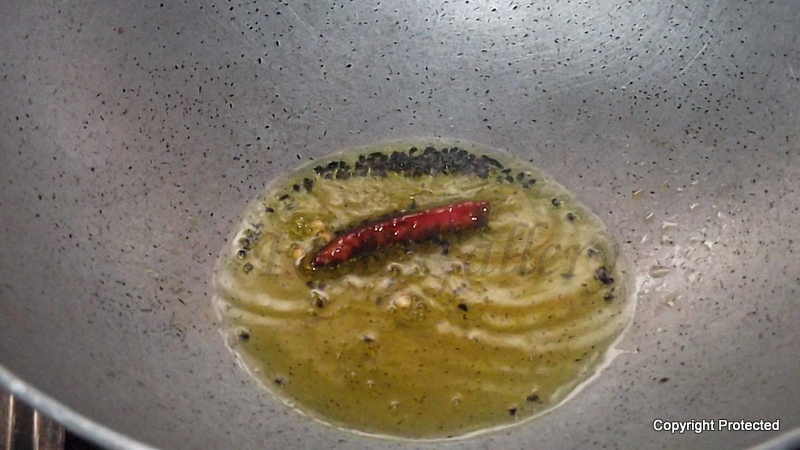 Heat oil in kadai and add kala jeera and red chilli. 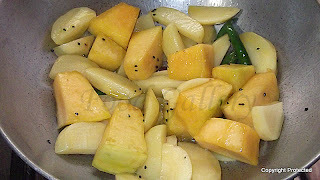 Once they start crackling, add all the vegetables and green chillies and fry them until they start turning light brown around the edges. 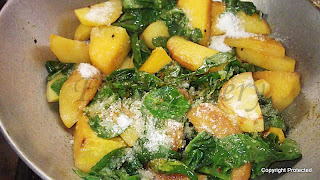 Now add the leaves and mix them all together and cover with a lid for 5 min. Add turmeric, sugar, salt, the boiled stems and a little bit of water. 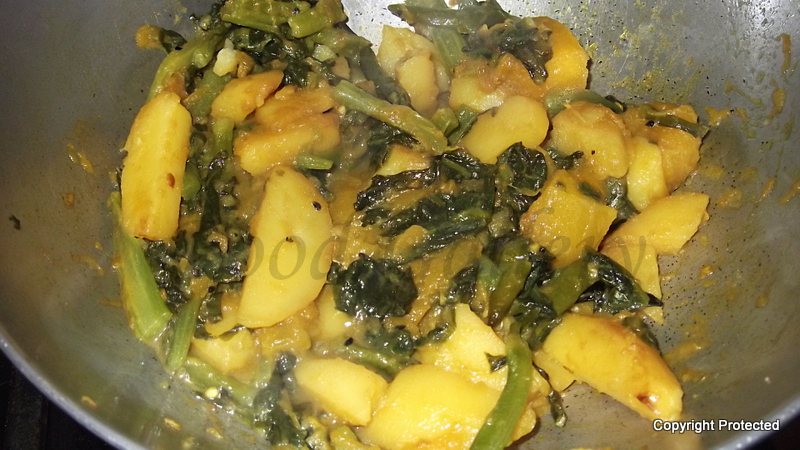 Don't add too much water as this is a dry curry. Fry them till the vegetables are all cooked and the water dries up. Remove from fire. 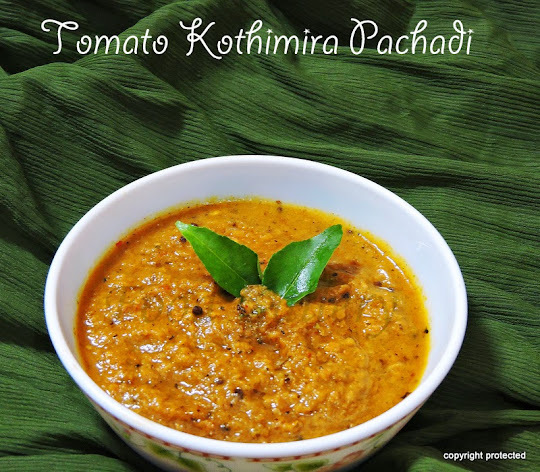 This is generally served with dal and rice. Can be had with rotis too. 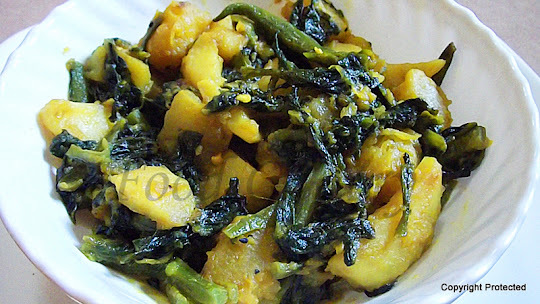 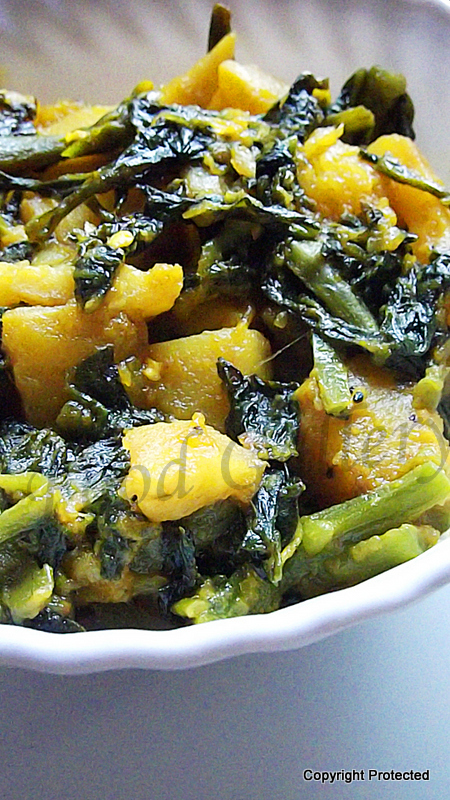 Missing those delicious green here, love this sides Hima. Very yummy looking recipe.Nice presentation.